14000 square meters. We had it! 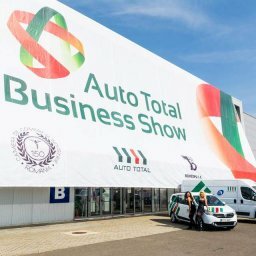 14 and 15 June 2014 marked the 3rd edition of the already well known automotive event in Romania: AUTO TOTAL BUSINESS SHOW. It was dedicated to OE and aftermarket auto parts, tools and service equipment and it was extended to 14,000 square meters. Every edition brought to it many news from the automotive area. 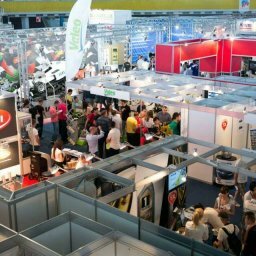 Visitors could attend technical demonstrations, trainings and workshops held for the first time in Romania by 80 exhibitors. New technologies were presented, big and unique discounts and promotional packages were available and, of course, we hadn’t forgotten about fun. Contests, vintage cars exhibitions and lots of entertaining activities kept over 33.000 visitors interested in the event for 12 hours in 2 days. Unlike previous editions, this year, an entire floor of the Central Romexpo Pavilion was dedicated to Tools and Service Equipment. AUTO TOTAL BUSINESS SHOW 2014 brought, once again, the one and only F1 simulator in the world that generates a force of acceleration up to 3G and, the only Romanian full motion simulator and the G-Motion auto Simulator. Moreover, visitors were able to enjoy Capoeira dance shows and flash mobs performed by great dancers. 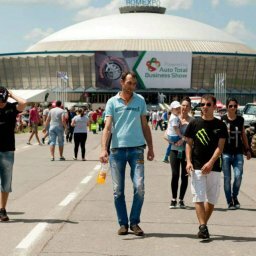 With an average of 40 visitors who entered the gates of ATBS 2014 every minute, the event hosted vintage cars exhibition and an automotive tuning show. “Congratulations Auto Total team for the quality and professionalism proved at ATBS 2014. 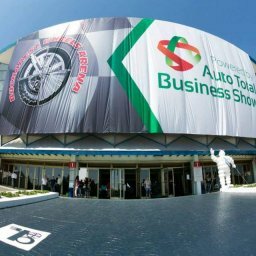 We take part in many international exhibitions organized by private companies (such as Auto Total) and fares as well (such as Automechanika si Motortec Madrid) but, above all, ATBS 2014 is the best.”, Bob Knight – Business Solutions Through Marketing. AIRTEX, ATE Romania, ATH, ADPR, Bosal CR, BSTM ltd, CASTROL LUBRICANTS, Chicago Pneumatic, Continental Automotive Products SRL, ContiTech Antriebssysteme GmbH, CS Germany, DAYCO EUROPE, Delphi Lockheed, DENSO Europe, ElringKlinger AG, Elstock A/S, Equipos Diesel REMANED, S.L., EXIDE TECHNOLOGIES, Facom, febi, Federal-Mogul Global Aftermarket, Finishing Brands UK Limited, Fischer Automotive One, Gates, GKN Service International GmbH, Goodyear Dunlop Tires Romania, Govoni, HaynesPro Dat, HELLA KG, IPD GmbH, ITALFORNI SPRAY-BOOTHS, KLANN-Spezial-Werkzeugbau-GmbH, KS Tools GmbH, KYB Europe GmbH, LPR , Magneti Marelli Aftermarket, MAHLE Aftermarket GmbH, MANN+HUMMEL GMBH, Motor Service International, NGK SPARK PLUG EUROPE GMBH, NIMB AUTO RO, Nipparts, Nissens Hungaria Kft., OSRAM Romania, pewag Schneeketten GmbH & Co KG, Philips Lighting Poland, PPG Industry Poland, Ravaglioli SpA, Remy Automotive Europe, Robert Bosch SRL, Schaeffler Automotive Aftermaket, SKF Romania, SOGEFI, Star Lubricants, TEXA S.p.A., Tmd Friction Services GmbH, TRW, Valeo, Valtec premium lubricants, VIEROL AG, Werther & Filcar,ZF Friedrichshafen AG ZF Services, Pirelli, EMMETEC, Radacini.